The Chicago Black Hawks pulled into a first-place tie with the Montreal Canadiens with a 4-1 over the New York Rangers at Madison Square Garden last night. The game was a wild one, featuring great goaltending by Chicago’s Glenn Hall and another battle between rookie Ranger Bob Plager and the Golden Jet Bobby Hull. The win gives the Black Hawks 57 points, but the Canadiens have three games in hand. Stan Mikita, Phil Esposito, Ken Wharram and Fred Stanfield were the Chicago scorers. Phil Goyette counted for the Rangers. Hawks’ Glenn Hall made 45 saves in a scintillating performance. Glenn Hall, in goal for the Hawks for the second straight game, made 45 saves in a spectacular performance. The game marked the sixth consecutive contest in which Bobby Hull was held without a goal. 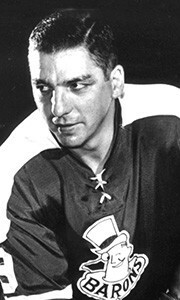 Frustration may be getting the best of the all-star left winger, as he lost his temper and engaged in a fight with New York defenceman Bob Plager. That set-to threatened to blow up into a full-scale riot. The battle erupted just past the 11 minute mark of the third period with the Hawks nursing a 3-1 lead. Hawks’ Stan Mikita and Rangers Arnie Brown were battling for a puck in the New York zone when their sticks came up and threatening gestures were made. Hull skated towards the gathering, presumably to join the fracas. That’s when Plager grabbed him from behind, placing a bear-hug on the burly winger. Hull was enraged by Plager’s interference and when he finally broke free, he dropped the gloves and went after the Ranger defender. A general scrum ensued, and little damage was inflicted by either side. Both Hull and Plager were penalized with minors, Hull for high-sticking and Plager for holding. This is where things got a little crazy. Plager, while in the penalty box, was heckled by a fan. It’s highly unusual for a home-town fan to go after a Ranger player in that way, but whatever was said or done, Plager grabbed the irate patron and began flailing away at him. Police and Rangers players entered the fray and dragged Plager off the fan. Hull, sitting next to Plager in the penalty box, chose (wisely) not to get involved. The fan, later identified as George Johnson of New York. received a bloody nose and a swift ejection from the arena for his trouble. Plager later said that the fan had heckled him all night and finally spat upon him, prompting him to take matters into his own hands. Hull and Plager have had several altercations since the rookie was called up to the Rangers in December. Russian national hockey coach Anatoli Tarasov doesn’t think the Canadian style of hockey has improved over the past few years, and he is no fan of the rough stuff. During an interview with the Soviet Press Agency Novostl, Tarasov did say that he enjoyed the increased interest Canadian hockey people showed in their game. “Never before had the Canadian professionals and top specialists attended our training sessions and matches – they had just ignored us. Tarasov said that during the Russian tour of Canada, he saw nothing new in the Canadian game. “Frankly speaking… we did not see in the Canadian pattern as we had done two or three years before, creative elements whose fascinating newness would captivate not only the players but also the spectators. Tarasov also took the rough play of Canadian to task, mentioning two players who ended up in hospital with injuries. He said that he doubted that rough play makes a player happy. 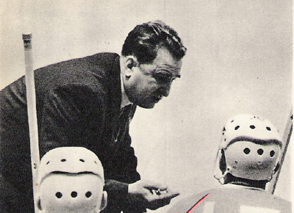 Fred Glover, the playing coach of the Cleveland Barons of the American Hockey League, became the second player this week to compete in his 1000th AHL game. Harry Pidhirny of Baltimore accomplished the feat earlier this week. Glover celebrated the occasion by scoring two goals and adding three assists as the Barons bombed the Springfield Indians 13-4. Glover’s three assists were all on goals scored by his brother Howie. Hershey Bears scored two goals in the third period to get by the Pittsburgh Hornets 3-1. 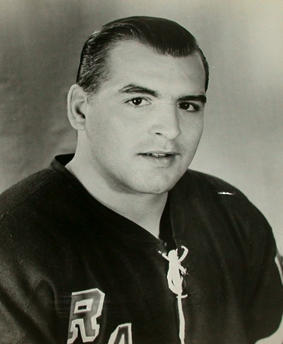 Pete Conacher scored the winning goal with less than seven minutes to play as the Bears enjoyed a man advantage. 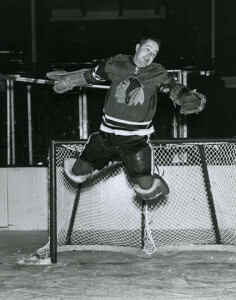 Conacher fired a 10-footer past Hornets goalkeeper Hank Bassen after taking a perfect pass from Bruce Draper. Buffalo Bisons downed the Providence Reds 3-1 in the other AHL game. Pat Hannigan, Ray Cullen and Billy Dea counted for Buffalo. Ed Kachur spoiled Ed Chadwick’s shutout bid with less than four minutes left in the game.